This is Bear. He is a great dog! He is a 7 year old Australian Shepherd mix. He loves, loves to play ball. He is friendly with everyone he meets, house trained, walks nicely on the leash and has been good with other dogs. He is about 60 pounds. His owners no longer had time for him. He was rescued from the shelter. 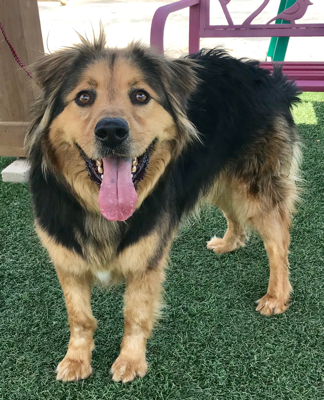 Bear is looking for a loving home.